Loyalty programs keep customers at the center of business making decisions. By targeting the audience that you service, you can gather valuable information about what your market is seeking and how their decisions should influence your strategy. In this day and age, real time information is a valuable tool to pivot business making decisions and keep your business top of mind to customers who have all of the information they need at their disposal. Consumer loyalty programs should leverage the preferences of your customers with the passion of your business to most effectively drive objective results. Once a consumer demonstrates an interest in a company’s product or service, they become a qualified partner and should feel encouraged to promote and advocate for your brand. Everyone knows that employees are a company’s biggest asset, but customers are their driving force. A points based consumer loyalty program allows companies to reward points for active engagement and contribution to their bottom line. The biggest misconception about loyalty programs is that there is a cookie-cutter approach. 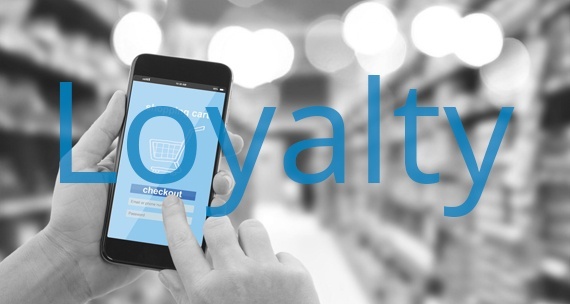 Each customer loyalty program should be unique and effectively communicate to its specific audience to encourage participation at all levels. The win-win is a result of understanding what would drive inactive consumers to consume, and support active consumers to become ambassadors for your brand. There is a cost effective, timely approach to achieve this with the full-service support of All Star Incentive Marketing. By setting up a custom branded rewards platform, you can easily reward your customers for their contribution to your success. Further, we will help you reach them with e-mail blasts, surveys, quizzes, and other interactive tools to measure the effectiveness of your strategy and keep your product top of mind. All Star Incentive Marketing® is committed to helping businesses grow and thrive by Engaging, Motivating, and Rewarding® the people behind their success. We do this by developing, implementing and managing powerful incentive and engagement programs that drive customer loyalty, employee motivation, sales, safety, and wellness. With a combination of proprietary technology, superior program management, outstanding customer service, unparalleled product sourcing and fulfillment capabilities, All Star maintains leadership in the incentive industry by helping clients exceed their business objectives and achieve a positive return on incentive investment (ROI2).